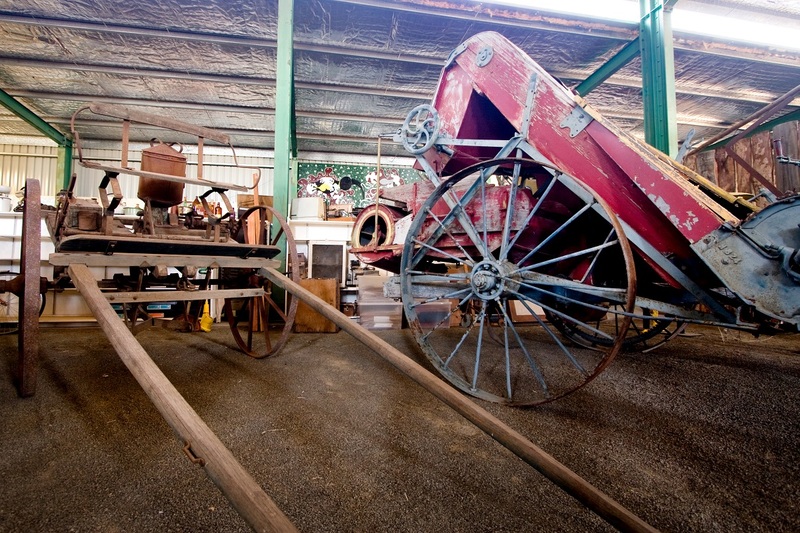 Wee Waa’s Namoi Echo Museum has a comprehensive display of farm machinery, horse drawn vehicles, Aboriginal and geological artefacts. It has a saddlery, a blacksmiths shop and a restored children’s Merry-Go-Round. The Museum features a one room school house and a saw miller’s cottage. Both of these have been restored and they display a collection of period clothing, furniture and domestic utensils. Inside the Museum, a spray plane is suspended above a field of cotton. The Museum also has a fantastic collection of old photographs that portrays local history and the people who lived in the district. Wee Waa is the oldest town on the Namoi river and is home to the Kamilaroi people .In December 1846 a notice appeared in the Government Gazette declaring Wee Waa was “a place for holding Petty Sessions” , however it was not until1849 that the firstjustice of the Peace was appointed to the local bench. Wee Waa is the heartland of the lower Namoi Valley and is a gateway to the far west centres of Pilliga, Burren Junction and their hot springs, as well as to Walgett and the Opal Fields of Grawin and Lightning Ridge. Wee Waa’s iconic Imperial Hotel was the first three storey hotel built in northwest NSW and is one of the most photographed. Another building of interest is the Police Station with its steeply pitched roof. The Police Station was built here by mistake, it was meant for the Snowy Mountains area.